We're sure you're more than sick of seeing pictures of the two of us after our Land of Nod event, but we have been not-so-patiently anticipating the day the Kansas City Country Club Plaza Lights banners went up this year...because we had the honor of designing them! So, of course we drove straight there to see them in real life! The Plaza Lighting ceremony is a major tradition in Kansas City and one that we have always looked forward to. 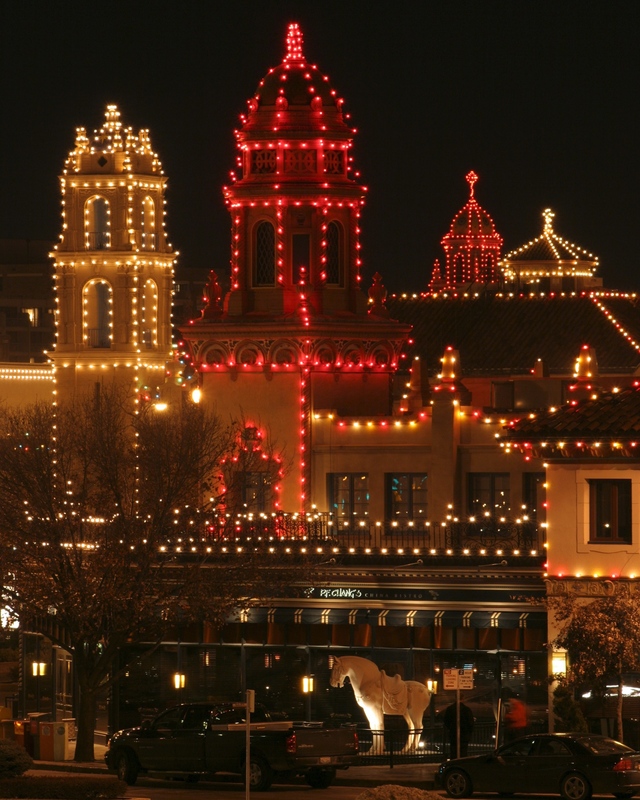 It seems like the whole city packs into the Country Club Plaza on Thanksgiving night to see the switch flip, turning on the Christmas lights lining every single detail of the beautiful Spanish style buildings! We were pinching ourselves while designing these because it just seemed so surreal to be working on a project that is part of such an iconic event each year.